During my move I came across a couple of cartoons I had forgotten I had done, so I thought I might post some of them. 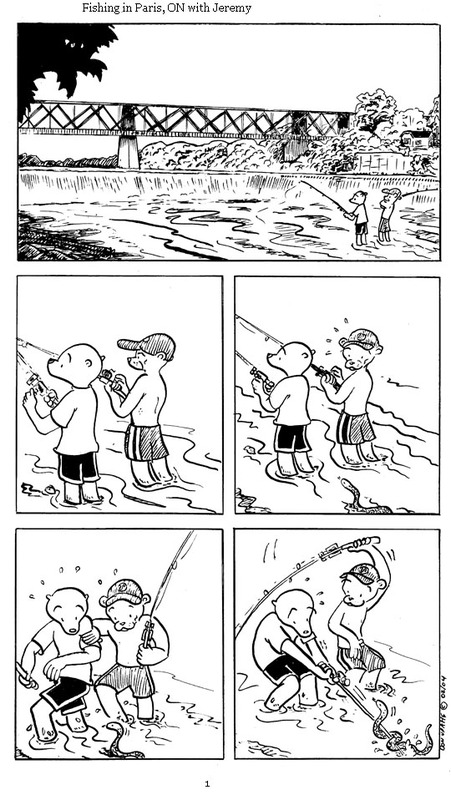 Here is one I did in 2004, its based on a true event, me fishing with my buddy Jeremy. I think i had just discovered alternative comics and I wanted to make my own. You can see that Aldous’ design is something I have used before. 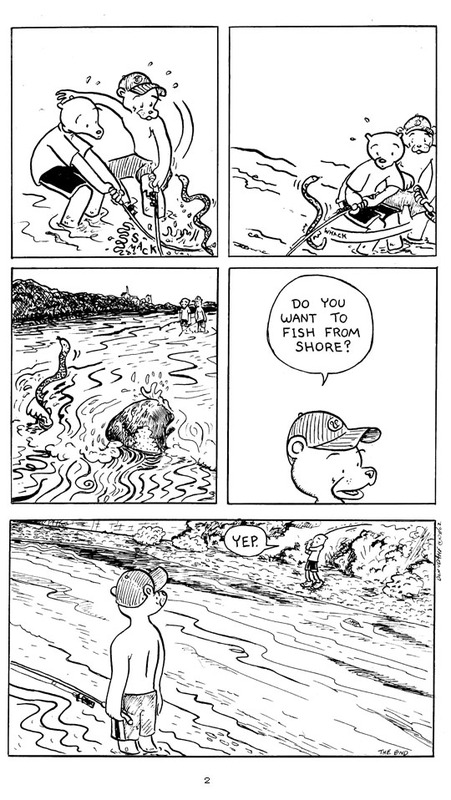 Actually Aldous and “me” in the fishing story are both based on my first comic strip I started called Castor, which I will show everyone some day. Perfect little slice of life stuff. Had a water moccasin creep up on me at a swimming hole in Kentucky one time. Never saw my dad move so fast to get me out of the water. Good times. Haha! Nice one! I also love how no words are spoken until the snake’s been driven away. Haha! I wasn’t there but I heard about this incident! I love the first frame it looks exactly like the actual dam!